Gardner, D., & Miller, L. (2010). Beliefs about self-access learning: Reflections on 15 years of change. Studies in Self-Access Learning Journal, 1 (3). pp. 161-172. This paper examines the degree to which the beliefs of stakeholders in self-access language learning in tertiary institutions in Hong Kong have changed during a 15 year period. To identify changes a comparison is made between the findings of a research study conducted in the mid-1990s in five self-access centres (Gardner and Miller, 1997) and the current situation. The following four key areas are examined: materials for self-access learning, integration of self-access centres and language learning courses, motivation and the effectiveness of a self-access centre. The comparison reveals that the degree of change in these four areas vary. We reflect on the causes of change. Self-access language learning (SALL) has become an increasingly important aspect of language learning provisions in all kinds of institutions, with all kinds of learners and for all kinds of needs. In the early 1990s the universities of Hong Kong established self-access centres which they have continued to fund and develop. This has created a large community of SALL practitioners and users and has provided a unique opportunity to study, in a small geographical area, a range of self-access practices within a clearly defined educational context over a relatively long period of time. This paper compares findings from a study conducted in the early days of Hong Kong self-access with the current situation, thus providing a 15-year perspective. The starting point for this paper is a study we conducted in the mid-1990s (Gardner and Miller, 1997) which examined the perceptions held by self-access learning of students, teachers and managers in five university self-access centres in Hong Kong. A multi-dimensional methodology drew on quantitative and qualitative data collection techniques (Table 1) to provide a large-scale and wide-angled overview of the situation. It also provided a rich depth of detail in specific areas. On the basis of our findings we made a series of recommendations for the further development of self-access learning. The comparison with this initial data is provided by an on-going research project (see Gardner and Miller forthcoming for details of the project) looking at the management of self-access learning in Hong Kong tertiary institutions (including the original five institutions studied in the 1990s), relevant literature and conference presentations, and the authors’ knowledge of developments during the intervening period. The areas of focus covered in this paper centre around beliefs about: materials for self-access learning, the integration of self-access into language learning courses, the motivation of self-access learners and the effectiveness and benefits of self-access centres. Our research revealed a perceived problem with materials in the SACs. Managers were not happy with the commercially available materials but many of them also commented on the unsatisfactory nature of materials produced in-house. Managers felt their SACs needed a wide range of materials. This view was supported by tutors and also by students. Although the managers were unhappy with the quality of materials, many of the students reported that the materials available met their needs. However, it was difficult to know what criteria students were employing in making their judgements. a) There are now good learner training materials in the SACs which tutors ask the users to use before they begin to use the SACs. b) On-line directories about the SACs and how to find suitable materials are available. c) The SACs have online catalogues of their materials. d) Some of the SACs have online needs analyses. e) Learner pathways through materials are provided. f) Increased provision of learner advisory services. g) Increased provision of tutor-led small-group activities (e.g. workshops). h) In-house generic-type materials have been produced to focus on target learners but in a resource-effective way. i) There is a bigger emphasis on purchased materials. j) Several CD-ROMs specifically aimed at independent learners have been produced in-house. k) Some SACs have streamlined their materials collections to include only those which are most used by learners. l) There was a concerted effort to help teachers write quality SALL materials, through workshops organised by the Hong Kong Association of Self Access Learning and Development (HASALD) for all teachers. In the mid-1990s there were strong beliefs in the need for an extensive range of materials in SACs which were tailor-made for the target users. These beliefs provided motivation for the investment of considerable time in materials production. Worksheets were produced to promote learner training and to provide language learning materials both in standalone mode and as support for authentic materials. In-house online and video language learning materials were also produced. In addition, time was spent constructing pathways for learners, materials catalogues, needs analysis procedures, ways of providing out-of-class language learning opportunities, and language advising services. Large amounts of resources went into these provisions during the following decade. 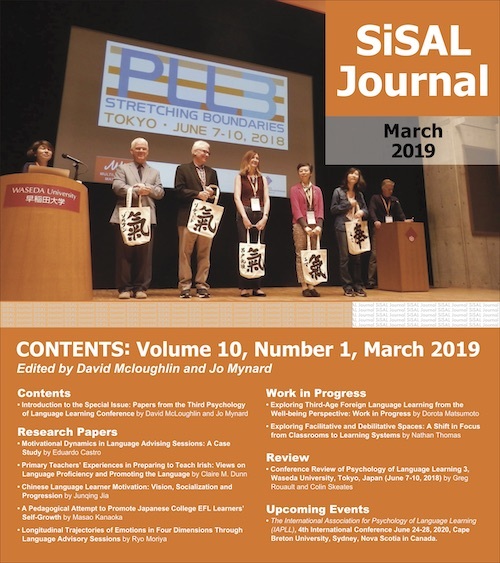 More recently there has been less production of paper-based SALL materials but an increasing emphasis on online materials, learner training and language advising. There has also been a stronger focus on the development of language practice activities. Data from the initial study illustrated confusion among respondents about their perceptions of connections between work done in the SAC and work done in the classroom. Most of the users said that work done in the SAC was not the same as the work done in the classroom. Most of them also said the work done in the SAC was not based on classroom work. Nevertheless, half of them thought there was a connection between work done in the SAC and their classroom work. Data from the tutor questionnaires and interviews showed a similar pattern of confusion. a) SALL was viewed as non-classroom based work and so had to be different. b) The staff responsible for the establishment of the SACs were not aware of the classroom syllabi, did not consider them relevant to the SAC, or did not want to link the established syllabi to the SAC. c) SACs had to be set up fairly quickly and the requirements were for lots of materials to fill the spaces without much attention to linking these materials with classroom-based instruction. d) The assumptions underlying the uses students would make of SACs were unclear. One key assumption was that students would be able to make use of SACs with little or no direction and be self-motivated. e) The management of the SACs did not promote the integration of language learning and classroom-based learning. Since the study, we have seen a shift in some of the thinking behind using SACs by both staff and students. In most of the institutions there is now an element of aligning classroom-based project work to the SAC, integrating SALL into courses and, in some cases, providing language courses within SACs. There has also been some research into aspects of integrating SALL and the curriculum (see for example, Hafner and Miller, forthcoming; Gardner, 2007; Fisher et al, 2007; Toogood and Pemberton, 2002). Data from the ongoing project into the management of SALL shows that there is a trend in Hong Kong tertiary institutions towards managing SALL in its entirety rather than a SAC as a standalone unit (see Gardner and Miller, forthcoming; Gardner, forthcoming). In our original study we identified two distinct groups of users within the five Self-Access Centres: self-directed/voluntary users; and externally directed/compulsory users. Both groups appeared to be instrumentally motivated through a need for either English for study or English for work purposes. However, the activities that many of the students engaged in did not seem to reflect this kind of motivation. The evidence that supports this is that many tutors commented on the heavy use students made of SACs for entertainment, and the most commonly observable activity was watching movies that the students themselves categorised as relaxation and entertainment. Interview data convinced us that the learners believed in their instrumental motivation but in practice were guided by a desire for entertainment. Our rationale for this suggestion was that by investigating why self-motivated users go to the SAC and what they do while there, it may be possible to develop materials and activities which encourage them and which also make the SAC and/or SALL more attractive to others. Most of the SACs included in the initial study have since been redeveloped into state-of-the-art learning centres with attractive technology, furnishings and services which have probably contributed to students’ motivation to use them. During the period under review there has been a strong emphasis on developing tutor support mechanisms for self-access learners in the form of language advising (sometimes called language counselling) services to language learners (cf Voller, 1998, Voller et al, 1999) and workshops and language practice activities. These support mechanisms are reported by SAC managers (in our ongoing project) to be highly valued by users and encourage students to invest more time in their self-access language learning. Despite recommending that research be conducted into the motivation of self-access learners only a few studies have taken place within the institutions reported in this paper. For example, Detaramani and Chan (1999) investigated the needs, attitudes and motivations of self-access learners, and Lai (2007) identified a number of factors which contributed to levels of motivation among students participating in a course with an integrated self-access component. While writing about this research and later in discussions with colleagues after conference and seminar presentations it became clear to us that there is a difference between measuring efficiency and measuring effectiveness because they serve different purposes. The former measures of the relationship between output and cost, and the latter measures the meeting of goals and we have subsequently emphasised and explained this difference (Gardner and Miller, 1999). In a later research project (Gardner, 2001) inspired directly by the recommendation to find ways to assess effectiveness, an attempt was made to measure the effectiveness of a single SAC by interviewing the four teachers who staffed one of the original 5 centres and a random selection of 50 of its student users. The project was not able to define a simple measure of effectiveness but it did discover the richness of variety in definitions of effectiveness in the context of a single SAC. Probably the most important finding was that effectiveness means different things to different people. There has been little subsequent published research into the effectiveness of SALL in Hong Kong. However, in a currently ongoing research project about the management of SALL in tertiary institutions in Hong Kong one aspect we are investigating is the ways in which the effectiveness of SACs are measured. In this section we reflect on the changes we have identified in stakeholders’ beliefs about self-access language learning in tertiary institutions in Hong Kong. There has been a significant shift in attitudes towards SALL materials, most noticeably in a reduced emphasis on in-house, tailor-made, hard-copy materials and an increased emphasis on professionally-produced and/or online SALL materials. The change in the pattern of SALL materials usage may be related to a more copious supply of usable, professionally-produced materials; a disappointing usage rate for what learners perceived as “homemade” materials; and/or reductions in the time staff are willing to spend producing materials. The latter may result from budget cuts and/or the noticeable shifting of staff attention to publishing research and completing higher degrees. In the mid-1990s the emphasis was on establishing self-access centres which were largely seen as standalone units. Few efforts were made to integrate them with the taught curriculum. There was even some opposition to the idea of integrating SALL with taught courses. As the SACs matured the concept of SALL shifted from a standalone learning approach to an adjunct feature of some courses and then to an integrated part of many courses. This may be because the universities have promoted the acquisition of life-long learning skills; the language teachers have become more familiar with SALL; and many students have been previously exposed to SALL in secondary schools because the Hong Kong Government has emphasised independent learning in its new curriculum. There has been very little research looking at the motivation of users of SALL in Hong Kong. However, it seems clear that the development of SALL has been based on the commonsense assumption that motivation will be increased if it is conducted in attractive and comfortable surroundings, providing up-to-date and interesting materials and activities which are based on identified user needs. An example of this is the popularity of activities and materials focused on language tests such as IELTS (seen as the de facto exit test for Hong Kong university students). Beliefs in the effectiveness of SALL have increased since the mid-1990s and this is why SACs have been maintained. However, measuring effectiveness (as opposed to efficiency) of SALL is complicated because it requires evaluation of quality rather than quantity. Most of the SACs maintain records of usage (quantity) for administrative and reporting purposes but have had difficulty in establishing quality assurance mechanisms to demonstrate gain which is attributable to self-access learning. There have clearly been significant changes in stakeholders’ beliefs about self-access language learning over the 15 year period under review. However, it is equally clear that the degree of change varies among the areas we have investigated. Attitudes to materials production and use have changed significantly, most notably in the shift from paper-based to online materials. There has also been a major change of attitude towards the integration of SALL and taught language courses with the increasing perception of SALL adding value to courses. Surprisingly, there has been little change in understanding how to motivate self-access learners thus restricting the impact of SALL on the student population. There has been no improvement in the ability to demonstrate the effectiveness of SALL which means its raison d’être remains at risk of being challenged by users and funders. David Gardner is the associate director of the Centre for Applied English Studies at the University of Hong Kong. He has coordinated Self-Access Learning, English for Computer Science students and the English courses for science students. He has taught at secondary and tertiary levels in France, Saudi Arabia, England, Thailand and Hong Kong, and has consulted on self-access projects in Mexico and Indonesia. His research interests include computer-assisted learning and self-access learning. He is a founding member of the Hong Kong Association of Self-Access Learning and Development (HASALD). Lindsay Miller is an associate professor in the Department of English at City University, Hong Kong. He has been responsible for designing, developing and teaching a wide variety of courses at undergraduate and postgraduate levels. His main areas of research have focused on self-access language learning, and academic listening. He is a founding member of the Hong Kong Association of Self-Access Learning and Development (HASALD). David Gardner and Lindsay Miller co-authored Establishing Self-Access: From theory to practice (Cambridge University Press, 1999). Detaramani, C., & Chan, I. S. I. (1999 ). Learners’ needs, attitudes & motivation towards the self-access mode of language learning. RELC Journal 30(1), 124-150. Fisher, D., Hafner, C., & Young, J. (2007). Integrating independent learning: Lessons learned and implications for the classroom. In D. Gardner (Ed. ), Learner autonomy 10: Integration and support (pp. 33-55). Dublin: Authentik. Gardner, D. (2001). Making self-access centres more effective. In D. K. Kember, S. Candlin & L. Yan (Eds. ), Further case studies of improving teaching and learning from the action learning project (pp.143-160) Hong Kong: Action Learning Project. Gardner, D. (2007). Integrating self-access learning into an ESP course. In D. Gardner (Ed. ), Learner autonomy 10: Integration and support (pp. 8-32). Dublin: Authentik. Gardner, D. (forthcoming). Looking in and looking out: Managing a self-access centre. Paper presented at the “If We Had to Do It Over Again” Implementing Leaner Autonomy in the 21st Century Conference, Gaziantep, Turkey. Gardner, D., & Miller, L. (forthcoming). Managing self-access language learning: Principles and practice. System. Hafner, C., & Miller, L. (forthcoming). Fostering learner autonomy in English for science: A collaborative digital video project in a technological learning environment Language Learning and Technology. Lai, M. W. C. (2007). The influence of learner motivation on developing autonomous learning in an English-for specific-purposes course. Unpublished MA Thesis, The University of Hong Kong, Hong Kong. Toogood, S., & Pemberton, R. (2002). Integrating self-access language learning into the curriculum: A case study. In P. Benson & S. Toogood (Eds. ), Learner autonomy 7: Challenges to research and practice (pp. 85-109). Dublin: Authentik. Voller, P. (1998). One to one consultations. Hong Kong: The English Centre, University of Hong Kong. (Video and guidebook). Voller, P., Martyn, E., & Pickard, V. (1999). One-to-one counselling for autonomous learning in a self-access centre: Final report on an action learning project. In S. Cotterall & D. Crabbe (Eds. ), Learner autonomy in language learning: Defining the field and effecting change (pp. 113-128). Bayreuth Contributions to Glottodidactics, Vol 8. Frankfurt am Main: Lang.